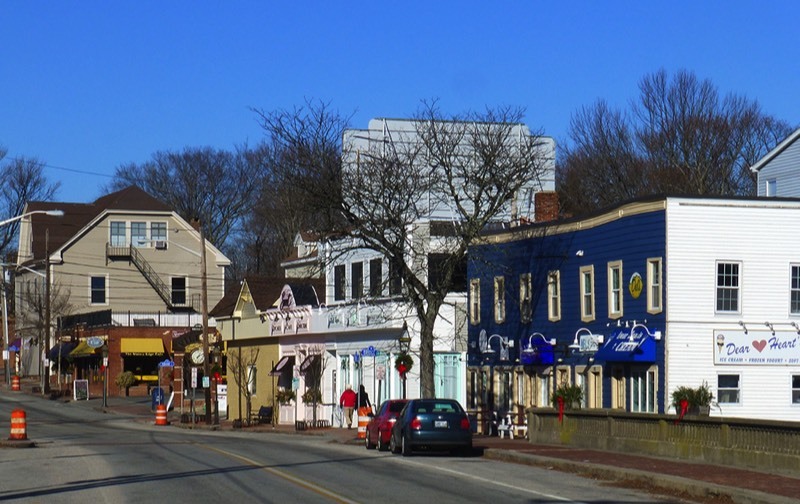 The Pawtuxet Village Merchants Association (PVMA) is a committee and managed by the Friends of Pawtuxet Village. Salon KG is aptly named after Kristin Greene affectionately known by her nickname KG. She and her husband, Kevin Greene, opened Salon KG in May of 2013. Prior to opening the salon, Kristin primarily worked for fifteen years in the wedding field as a makeup artist. Having built a large following, Kristin continued her education and graduated from Paul Mitchell Academy in 2011. As a dual professional, she built an on-location hair and makeup team for wedding parties. Kristin’s reputation for excellent service continued to flourish. Kevin had a twenty-year career in loss prevention working for Macy’s Department Stores in Boston, MA. He decided to leave the corporate world and the long commute behind, and together the couple decided to plunge into the world of small business. Though Salon KG offers onsite wedding services, the salon’s vintage location is ideal for every bride’s in-salon dream experience. The salon resides in the Huldah F. Chase House, a beautiful Victorian home, that has been restored to its 1892 stately glory. Stroll through the doors and you will be taken by the romantic grandeur of the place. Throughout the Salon you will likely admire the fine woods and original carvings. The foyer is made of mahogany, while the rear Salon is constructed of oak. The doors are solid wood and the hardware is original to the property. The reception desk was constructed from a 19th-century staircase, which was part of the original home. Great care was put into the styling stations, so that they remain true to the property’s classic feel and charm. The building appeals to brides and grooms, as the setting makes for the perfect backdrop for picture taking. The property even boasts a private garden in the backyard. Flowers, a coy pond, and a waterfall add a flare of fantasy to any couple’s wedding album. The practical components are just as impressive with plenty of easy access parking and a fantastic team of professionals. Salon KG offers hair, nail, and eyelash extension services. Male and female clientele are spreading the word through positive reviews. Kristin and Kevin are proud of the reviews, which they attribute to the time and attention given to building their team. They emphasize skills and positive attitude. Ever present is a palpable ‘teamy-goodness feel,’ as the entire team is focused on creating a positive atmosphere for every client. You can purchase a gift certificate and also book an appointment online. Pat Grogan is the owner of Pawtuxet Sunoco. Pat was born on Long Island and later moved to Rhode Island as a teenager. He graduated from Pilgrim High School and the University of Rhode Island with a major in history. In 1976 Pat bought the Sunoco gas station located in the heart of the Village, and that same year, welcomed his first son, Chris. He and his wife Patricia moved to the Gaspee neighborhood in 1979 and have always supported local groups, including the Pawtuxet Village Association, the Pawtuxet Businessmen’s Association (now the Pawtuxet Village Merchants Association) and Friends of Pawtuxet Village. 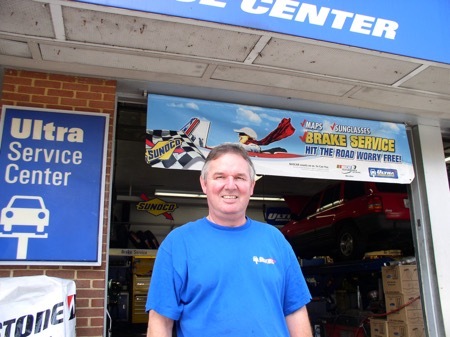 Pat is not only on the Curriculum Advisory Board at New England Tech, but he is also the Rhode Island and Massachusetts representative for Sunoco Ultra Service Center dealers and a member of the Auto Service Association of Rhode Island. Stop in at Pawtuxet Sunoco and meet Pat and his crew, many of whom have been working at Pawtuxet Sunoco since he first opened the gas station in the 1970s. The mother-daughter duo, Amy Conn and Judith Eager, combined forces to create Tag Sale Treasures and opened their business in April of 2011. Judith had twelve years of previous work experience in the consignment retail field. Amy, her daughter, had two years of experience in the same field. They shared, however, a lifelong hobby of treasure hunting, which is why Tag Sale Treasures has been a labor of love for these two warm individuals. When they are not running their shop, they are out and about looking for more treasures to offer their clientele. Tag Sale Treasures can be best described as a retail space of assorted antiques, linens, household items, and small pieces of furniture. 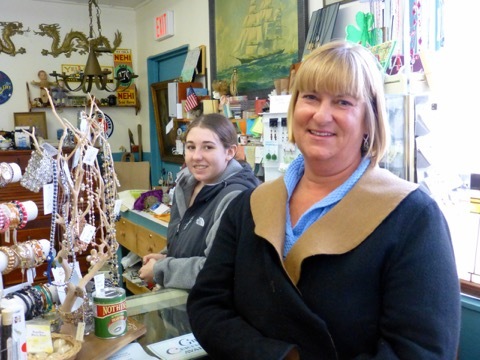 It is also a consignment shop, and the public is welcome to sell items of their own.They chose Pawtuxet Village because of their love of the area. They found the locals to be friendly and have enjoyed the bustle from all the foot traffic. The Village indeed is a very active neighborhood. 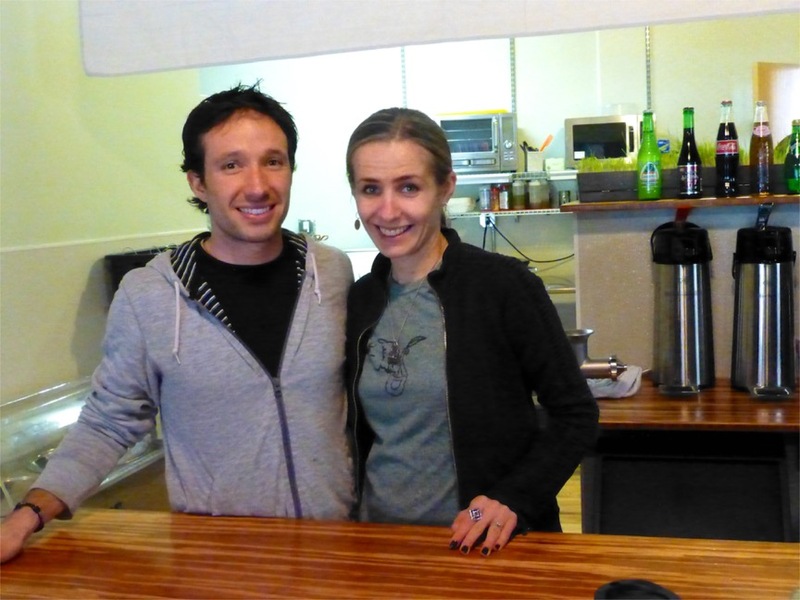 Amy and Judith have continued to feel welcomed by the Village since opening their doors. Their repeat customers have become friends, who often bestow thoughtful and personal gestures of kindness onto the dynamic duo. They also credit the generosity of the other business owners in the Village for their success. They both feel very supported and go out of their way to return this kindness by also supporting local business owners, especially newcomers. Amy and Judith often think of others, which is part of the charm at Tag Sale Treasures. 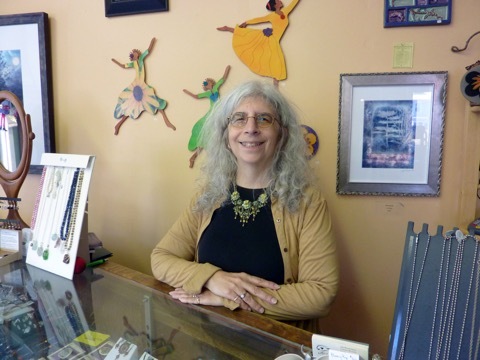 Customers even have the use of a ‘Wish Book,’ in which they communicate items they hope to purchase, and Amy and Judith set off into the world to find those treasures on a weekly basis. Another way they give back to the community is providing space for locals to market their own goods. We stress Amy’s and Judith’s giveback spirit because it speaks to who they are as individuals and business owners. What is sure about Tag Sale Treasures is that you are dealing with generous people, and it is a good old-fashioned, honest business. +Schasteâ : Crêpes & Tea - New name, same great food! The Elephant Room is now known as Schasteâ. It has an expanded menu, but still carries teas and crepes. We will be updating this post later this Spring, so do check back. Rim Nahm has three things going for it: At first glance, it’s uniquely adorable. Look closer and you’ve got a view of bucolic Pawtuxet Cove. One bite of the food and expect to be blown away by the flavors. The décor is a distinctive blend of cheery colors, feng shui hip, and traditional Thai style. From the red walls to the green paper lanterns to the elephant motif to the striking photographs of floating Thai markets, it totally works. Chef Suwanne Prompol, originally from Bangkok, has been cooking at Rim Nahm since it first opened in 2006. 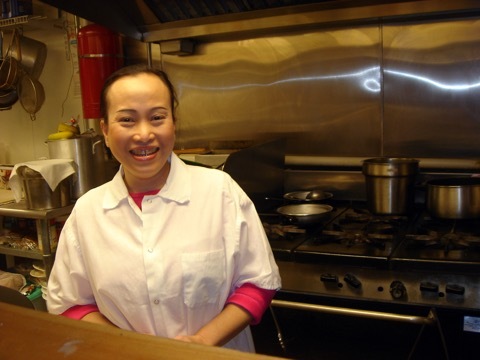 In 2005, Suwanne’s husband, John Russo, bought the restaurant and together, this husband-wife team is committed to serving high quality authentic cuisine at very reasonable prices. While Thai food in general tends to be tasty, Rim Nahm’s dishes really do stand out. Their most popular dishes include the Mango Fried Rice, Chicken Satay, and the Drunken Noodles (for those who like it spicy). Suwanne’s favorite dish on the menu is the Seafood Madness. She’s also a big fan of a spicy green curry. This writer raves about the Larb Gai (spicy chicken salad) and Pad See Ew (wide rice noodles). Rim Nahm is currently in the process of obtaining a beer and wine license. In the meantime they are BYOB, which makes an affordable night out that much more so. And when the weather gets warmer, a couple of lucky couples can enjoy the cozy tables on the back deck-right over the falls, or order take-out and eat al fresco on the sidewalk! Arroy dee ka. There is a $15 minimum on credit cards. 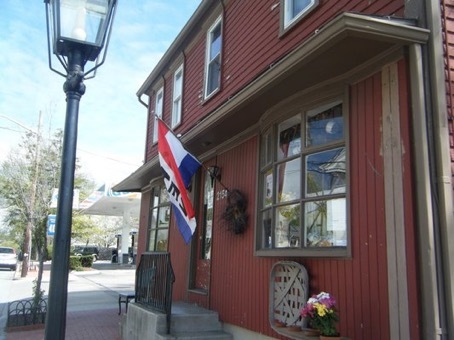 Welcome to the webpage of The Pawtuxet Village Merchants Association (PVMA).